Home / Catalog / Cameras / Action Cameras / GoPro / Action Camera Packages / Paralenz Dive Camera PLUS "All-In-One" Special! Paralenz Dive Camera PLUS "All-In-One" Special! Ships same day if the order is placed before 3PM Pacific Coast Time. Buy the Camera - Get TWO FREE Accesories! Limited Stock - Once we sell out, it's gone! Paralenz 3rd Person Viewer (Selfie Stick) - FREE!! Paralenz Neoprene Mask Strap - FREE!! This is a very limited special - once we sell out, it is over so plan to log in and purchase early morning on Black Friday in order to get your free gear! 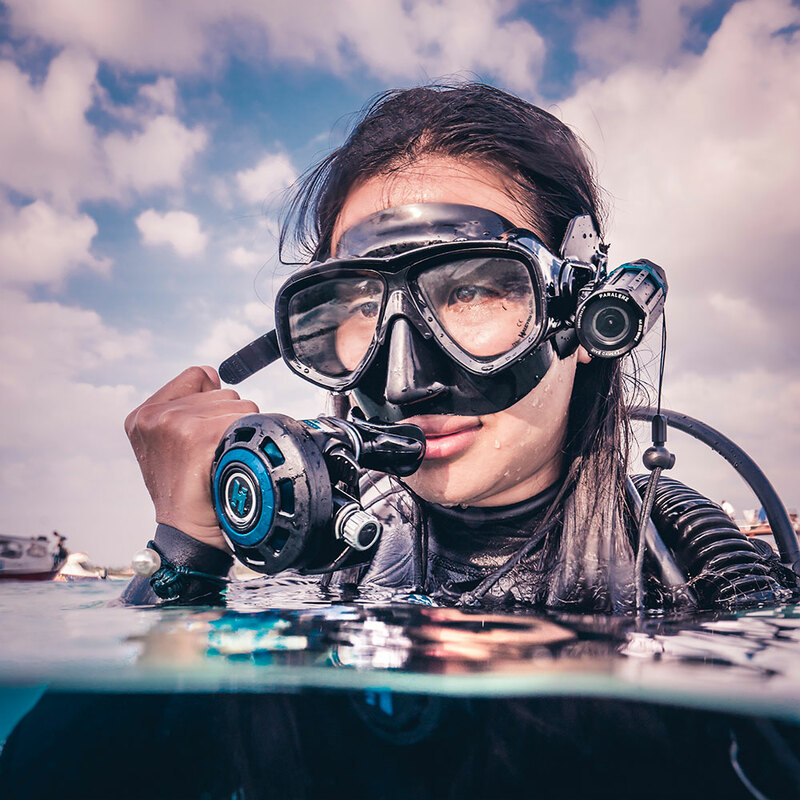 The Paralenz Underwater Camera for Diving is a perfect, easy to use option for those looking to capture great underwater photos with ease. If you want to enjoy your dive and avoid spending time messing around with camera settings, controls or lugging a giant system through the water then this is the choice for you. What's New for the Plus Version? Increased depth rating of 250m / 820 ft.
All aluminium used has been upgraded to Aerospace-grade. Screws are now made of Titanium. New end-cap is CNC milled from aluminium with a scratch-resistant glass window. Better anodizing of all parts for a more scratch resistant surface. Memory Card Important Information: The Paralenz camera will only work with the correct speed card. Class 10, U3 cards must be used with minimum 64GB memory, up to 128GB memory. Lower speed cards will cause issues with the video recording as they will not be able to handle the quality video created by the camera. Easy to Use, Robust construction. Designed to be as easy to use as a dive light the Paralenz camera is a small cylindrical shape, easy to hold in your hand - without getting your fingers in the shot! It's crafted from aluminum and titanium making it very durable. The camera can be handheld, and has useful features allowing you to enjoy your dive with minimal distraction. Useful modes include auto start, the camera stays in standby until you hit the water, then stops recording again when you surface allowing you to set it and forget it while you record and enjoy your dive. In addition there is a simple snap record mode which allows you to take a photo with a press of the button or push and hold to record video, no switching between modes or worrying if you've stopped or started your recording! Note: We have heard of the Paralenz camera getting knocked off divers masks when they jump into the water. We highly recommend securing your camera to your mask using the included wrist strap to prevent accidental loss. The Paralenz Action Camera features haptic vibration feedback allowing you to feel what the camera is doing. Each function has a unique and disctinct vibration patter. Focus on the dive instead of your camera display. Using patented Depth Controlled Color Correction (DCC), the Paralenz camera automatically corrects your footage to match your depth avoiding the need for extra accessories, filters or lights. Add a unique aspect to your video with depth and temperature video overlay. The built in pressure sensor records dive data and enables you to add an overlay on your video footage. Simplistic design with a single magnetic switch control and one button. This allows for ease of use and durability as magnetic switches work best under pressure and do not need to penetrate the camera body, further limiting any risk of flooding the camera. Perfect for All Types of Diving! The camera features an extended battery life of 3+ hours when recording at 1080p 30fps and 2+ hours when recording 4k at 30fps. The updated + body is depth rated to 250m - that's 820ft!! The Paralenz + camera features a 140° angle of view designed to match the sensor size and avoid any fisheye distortion resulting in clean, wide angle footage with straight lines. It works great in low light with a large 1/2.5" sized sensor manufacturered by Sony. Built in Electronic Image Stabilization aids in capturing smooth and steady footage while diving. 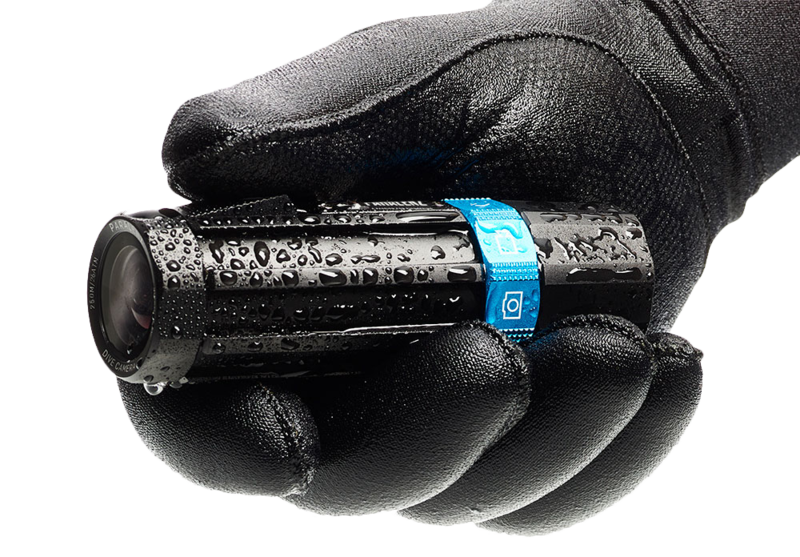 The Paralenz camera is designed with ease for all dive types, and works great even when wearing thick gloves underwater. The Paralenz+ comes standard with a Universal Mount - this mount will allow you to attach the camera to any GoPro Style Mount attachment. This is pefect for using the camera on a tray for added stability while diving, or if you want to go further and use video lights to enhance your overall video footage.